With the coming of winter, all across Victoria, people are starting to dream of the upcoming ski season. In bird-world, though, some species are not so rapt with the approaching cold in the high country. They are known as ‘winter or altitudinal migrants’. In summer they spend their time in the cooler temperatures of the higher altitudes. But when the temperature starts to drop they are out of there and make their way down toward us in the milder climes of the low altitudes. 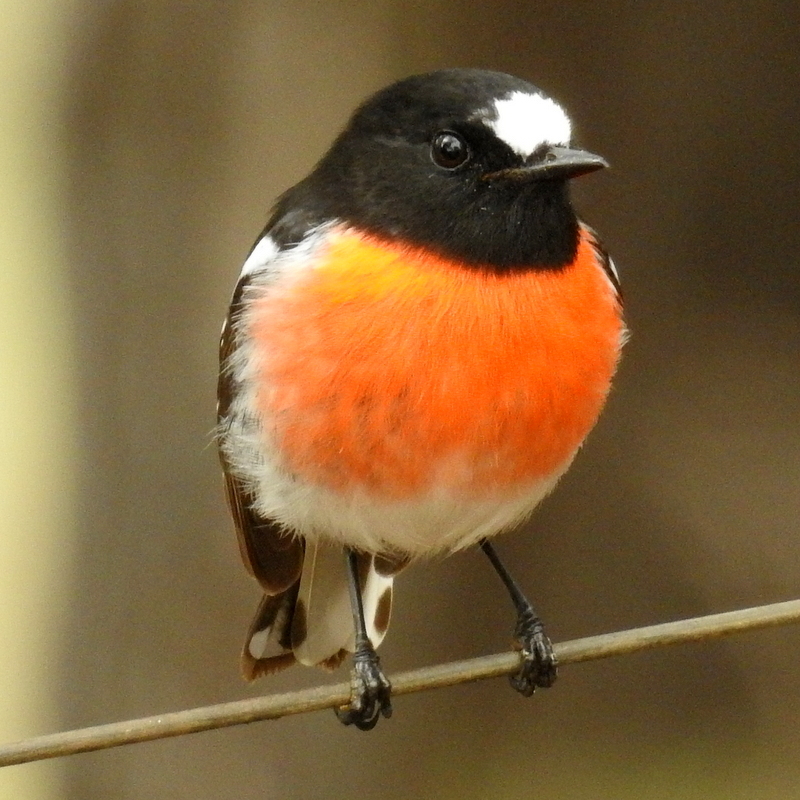 In the King Parrot Creek valley we are now starting to see species such as Scarlet Robins (Petroica boodang), above, and Golden Whistlers (Pachycephala pectoralis). Similarly, populations of Pied Currawongs (Strepera graculina), right, have increased recently and flocks of ‘green’ Australian King-Parrots (Alisterus scapularis), below, have also entered the district. This migration is not as pronounced as it has been. 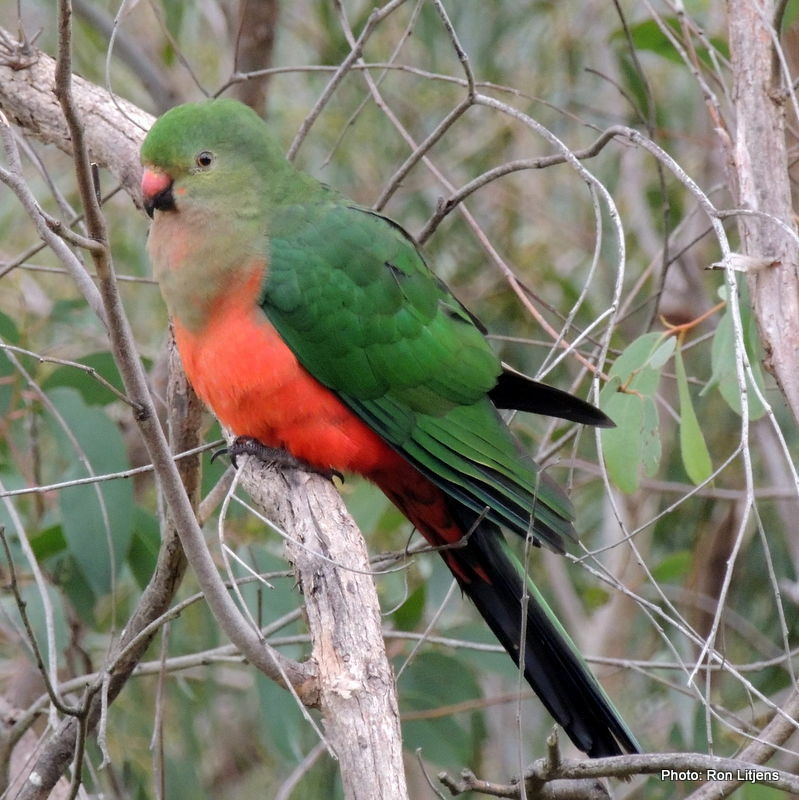 With milder winters and humans providing a plentiful food source, particularly for the King-Parrots, some species are less inclined to follow the seasonal path up and down the mountains. If these species are called winter migrants in the lowlands, are they called summer migrants in the hills? 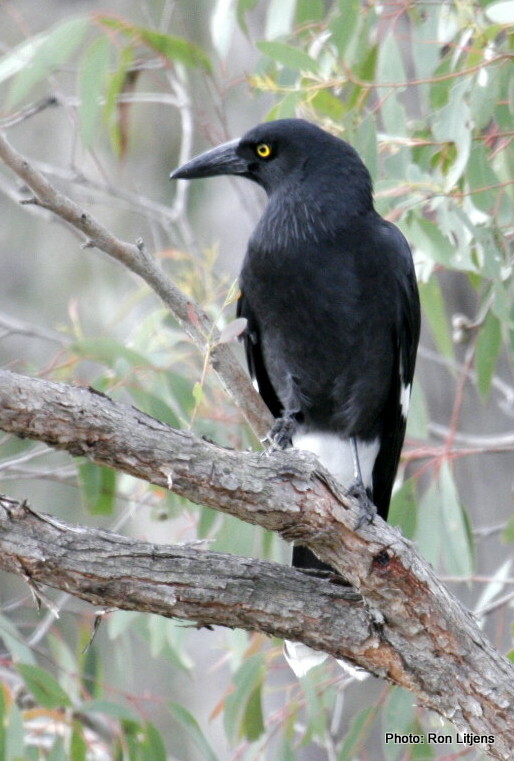 I have seen a Golden Whistler, and Scarlet and Flame Robins in my garden lately, and a flock of Pied Currawong in Light Horse Park along the creek. Also have lots of Honeyeaters, including Black Chinned and White-naped. Beautiful. The recipe? Just add habitat, and water. Thanks for lovely photos.